Picture this: you’re in the thick of a big decluttering project. 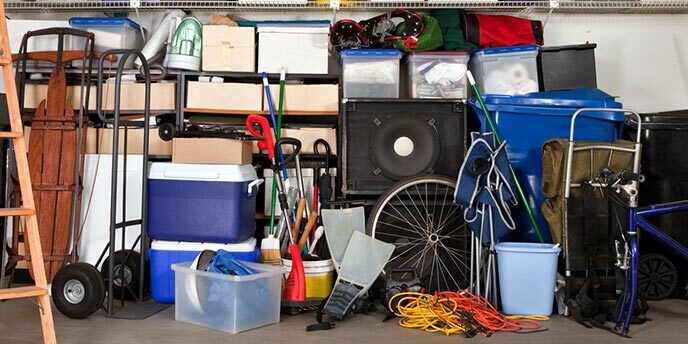 You’ve got your “keep” items nailed down, but now you’re stuck: do you donate or throw away the rest? It can be hard to know what to throw away when decluttering your home. Sometimes, especially if an item can’t be taken at the curb, it might seem easier to donate it to Goodwill®. They’ll find a good home for it, right? Wrong. Unfortunately, even the most well-intended donations can end up being a costly burden to the charities that serve our communities if they’re not able to be put to good use. We talked to local Goodwill professionals across the country to learn which items should and should not be donated to the charity. Before we dive in, it’s important to note that Goodwill is not just one organization, but rather a network of over 160 independent Goodwill organizations across the United States and Canada. “While all of us share the same name and the Goodwill mission of helping people in our community find jobs, we are autonomously operated by our own boards and CEOs in the communities we serve,” says Summer Dunham of the Goodwill Industries of North Georgia. Because of this, local Goodwill donation guidelines vary from location to location. However, we’ve gathered a list of items that many Goodwill locations cannot accept to help you narrow down your “donate” pile. If you’re on the fence and not sure whether to donate or throw away an item, call before donating – your local Goodwill will thank you. Whether it’s a chair missing two legs or a coffee maker with a shredded cord, Goodwill cannot sell items that are in need of or beyond repair. While it may seem like common sense, many donors don’t realize that by passing junk along to Goodwill, they are also passing the burden of its disposal along with it. For clothing, repair major rips, tears and broken zippers or buttons before donating. Test small appliances to ensure that they are in safe, working order. Inspect glassware for chips and cracks; package and transport these items carefully. For all other items, be sure they can be used the way they were intended to be used. If the answer is no, and repair efforts fall short, it’s best to throw it away. An exception to this in some locations, like Goodwill Denver, is broken computers. Call ahead if you’re unsure whether to donate or throw away an old electronic device. If your house has permanently upgraded to big kid beds, you might be thinking of donating the old crib. But if it has been recalled or is no longer compliant with the U.S. Consumer Products Safety Commission’s current safety standards, it is illegal to sell or donate it. For this reason, do not donate any expired or recalled cribs, car seats, helmets, walkers and high chairs. See if your item has been recalled before dropping it at your nearest Goodwill. Also, if a helmet or car seat has previously been involved in a crash, it might not be as safe or reliable as it was before the accident. It should not be donated or used again, no matter how minor the crash was. Dispose of helmets and car seats that are crashed or recalled – do not donate them. Call your weekly trash pickup to see if you can leave larger items, like a crib, at the curb. 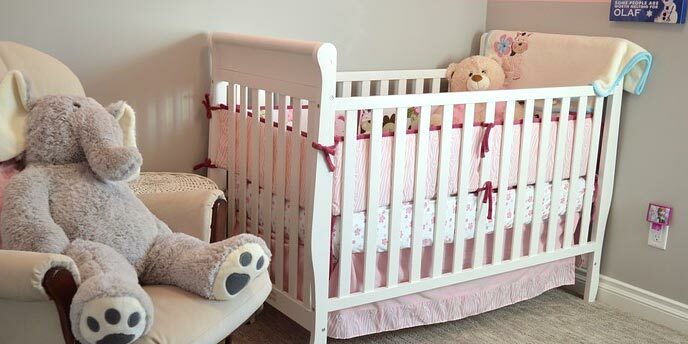 If they can’t take it, get creative with these 19 ways to repurpose a crib. While many Goodwill stores can accept bedsheets, blankets and other linens, many locations do not accept mattresses and box springs. Their size, among other factors, make it too difficult to manage and sell them in their stores. Always call your local Goodwill before dropping off a mattress or box spring, and if they cannot take it, find another way to get rid of it. Check out our mattress disposal guide for a full breakdown of donation, disposal and recycling options for your old mattress. Knowing what not to donate to Goodwill is not a new dilemma. This may go without saying, but we’ll say it anyway: Goodwill cannot accept hazardous materials or weapons. This includes hunting rifles, handguns, knives, ammunition, fireworks and other explosive or flammable materials. You cannot donate or throw away firearms and other potentially dangerous items through conventional methods, so check out the following tips on what to do with them. Rifles and Handguns: Unwanted guns and ammunition can be surrendered at your local police station. Call the non-emergency line ahead of time to let the department know about your situation. If you choose to sell a gun, the transfer of ownership must be managed by a Federal Firearms License holder in your area. Hunting Knives or Bows: If you have hunting knives, bows and other hunting or archery equipment, you can sell them, provided you follow local laws on weapon sales. If you’d like to donate them, some organizations like Raise ‘Em Outdoors can accept them. You can donate to REO from anywhere in the United States – just use their contact form to set up the shipment. 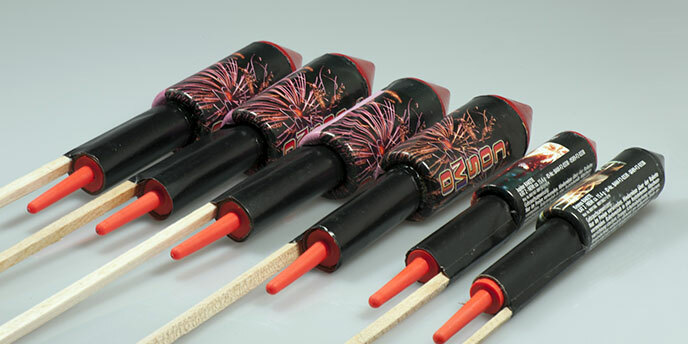 Fireworks and Explosives: Regular, leftover Fourth of July fireworks can usually be soaked, wrapped and thrown away in your weekly trash pickup, but check with your local government or fire department for more details. In the rare event that you come across an old grenade in your grandfather’s war collection, do not touch the explosive – leave the room and call your local police or fire department for professional assistance. When disposing of weapons and other dangerous items, always touch base with local law enforcement for details on how to legally and safely get rid of them. 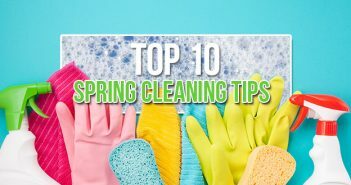 While some locations accept household cleaners, for safety reasons, Goodwill generally cannot accept hazardous chemicals, including paint, gasoline, and pesticides, or pressurized containers like propane, helium or oxygen tanks. If you need to get rid of paint or chemicals, do not pour them into drains or into the ground. This can contaminate your area’s water supply, harming yourself, your neighbors and local wildlife. Paint: Cans of leftover paint can either be donated to your local Habitat for Humanity, reused in projects around the house or disposed of properly. Gasoline: The best way to dispose of gasoline is to simply use it up in your car or lawn mower. You can recondition gasoline for reuse if it is contaminated or mixed with water. Household Chemicals: Bleach, hydrogen peroxide and other water-soluble cleaning products can be poured down the sink with running water. Take other chemicals to a hazardous waste center in your area. Pesticides: Most pesticides have a “Storage and Disposal” statement on their label with instructions for properly disposing of them. If the label has been ripped off, check with the National Pesticide Information Center to find the best way to get rid of them. Propane, Helium and Oxygen Tanks: Options for disposing of or recycling pressurized tanks varies from city to city. Check with your local recycling centers or the tank’s supplier for more information. Find a local hazardous waste center with Earth 911’s Recycling Search. Type in your zip code and the waste you’re throwing out to find disposal options near you. Many Goodwill locations cannot accept construction materials, such as lumber, bricks, concrete, carpet or shingles. But there are ways to donate, recycle or dispose of building materials elsewhere. Donate Them Elsewhere: Check with your local Habitat for Humanity or other local housing organizations to see which building material donations they can put to good use. 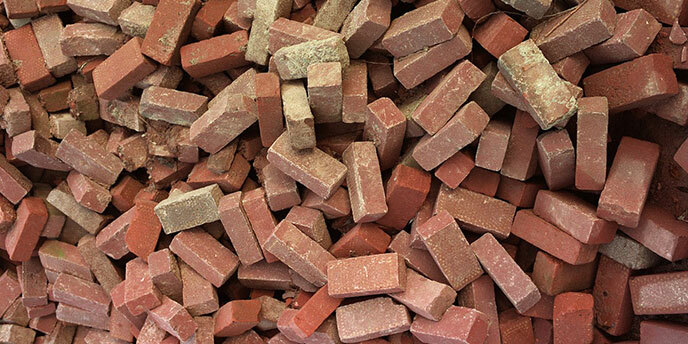 Recycle Them: If you’re getting rid of concrete or bricks, see if any local building suppliers can accept the used materials and recycle them into new ones. Rent a Dumpster: If you’re working on a home renovation or cleaning out junk that can’t be reused, having a dumpster on-site can make for an easy cleanup. Learn more about renting a dumpster for construction materials. Donating excessively bulky items, including swingsets, refrigerators, stoves, pianos and pool tables to Goodwill can be tricky. In some areas, you might only be able to donate them at certain drop-off locations, if at all. For the following items, call your local store before taking it over. If your Goodwill doesn’t accept them, here are a few ways to get rid of large or bulky items responsibly. Swingsets: Local safety guidelines for public playgrounds make it difficult to donate these items to schools and for other community purposes. Once you’ve disassembled it, it’s best to either recycle the parts or throw it away entirely. Pool Tables: If you’re not able to sell it, you can repurpose your pool table into something cooler. Pianos: If you cannot donate it to Goodwill, you could sell your old piano or organ online or give it away to a local school or church who may be able to use it. Water Heaters: Most locations do not accept these, so be sure to dispose of your water heater properly. Large Appliances: Habitat for Humanity can accept working appliance donations in many locations. But if your oven, fridge or washer is on its last leg, it may be time to dispose of it. Need to get rid of more than one big-ticket item? Some Goodwill locations, like Goodwill Home Medical Equipment in New Jersey, can accept medical equipment, including walking aids, wheel chairs and motorized scooters. However, many do not accept medical supplies, including syringes, lancets, and diabetic supplies. Call ahead before donating any kind of medical devices or supplies, and if your local store cannot accept them, here are a few options for donating or throwing them away. Used Equipment: If your local Goodwill can’t take medical equipment, other charities near you might. Search online for donation options through local hospitals, nursing homes or other organizations. Syringes: For unused needles, you can often send them back to the medical supply company you bought them from. Sharps & Medical Waste: Used needles and other waste should be disposed of responsibly. Check out Safe Needle Disposal’s state-by-state sharp disposal guidelines for more information. Diabetic Supplies: You can actually sell or donate unused diabetic supplies online. Dispose of used items like any other medical waste. Thermometers: Used thermometers should not be donated. Modern thermometers can be thrown away like normal, but take the appropriate measures when disposing of mercury thermometers. 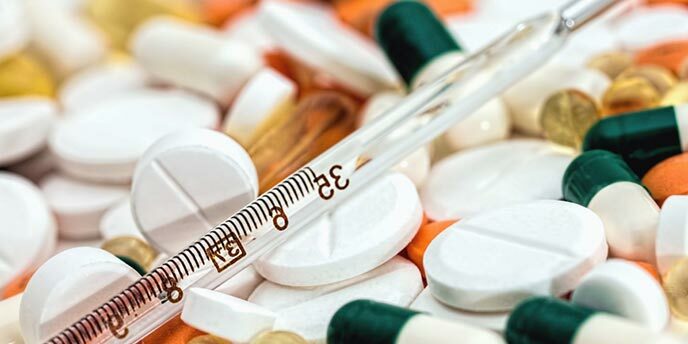 Prescription Medication: Medicine that has expired or not been used can usually be thrown away. You can also give back old medications at most pharmacies, or at a dedicated disposal location. While you can donate kitchen and cooking supplies to Goodwill, in most areas, you cannot donate food or food items. However, there are plenty of organizations, both national and local, that would be more than happy to take any canned goods and other non-perishables off your hands. Do a quick search online to find the nearest food donation drop-off center near you. Non-perishable, unexpired food can be sent to local food banks, churches, homeless shelters or other organizations that feed the community. Find a food bank near you. Dispose of perishable food with your usual trash pickup. Lastly, any kind of pet damage will always land your item in the “what not to donate to Goodwill” category. This includes chewed, soiled or stained items, as well as items covered in pet dander or fur. 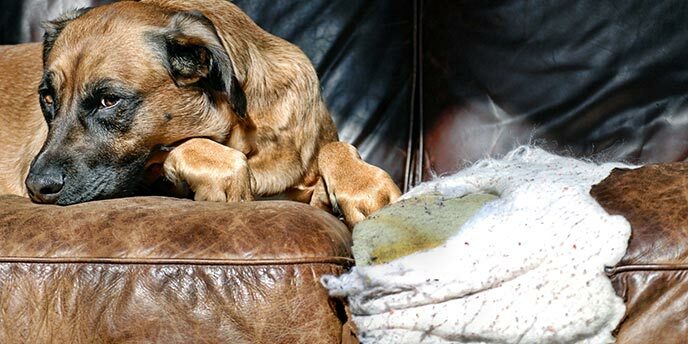 Items that have been badly damaged by pets can carry germs or allergens that could prevent potential takers from buying the item. If your items are chewed, stained or fur-covered beyond repair, most places cannot accept them as donations. Whether it’s shoes or furniture, it’s best to simply dispose of them. What Can I Donate to Goodwill? By taking the extra step of reevaluating your “donate” pile, you make it easier on your local Goodwill to continue its mission to bring jobs to your community. But keep in mind that the tips above are general donation guidelines. While one location may not accept items larger than a couch, others may have car donation programs, like Goodwill Denver. “Due to our autonomous structure, it’s important to contact your local Goodwill for specific donation policies,” says Stewart. To find and contact your closest Goodwill, call 1-800-GOODWILL, or visit their online store locator. Don’t see your local Goodwill or recycling guide? Let us know below, and we’ll add it to the list! 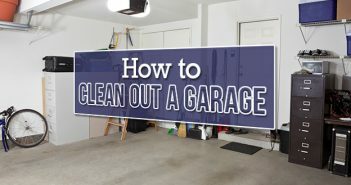 for more great tips on home, attic and garage cleanouts.